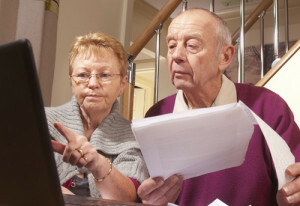 When couples retire together there are many issues they have to figure out how to deal with. From filling their time to spending time together to dealing with their finances. There are lots of issues and they can put a lot of pressure on couples as they adjust to this new life style. In this post we are going to try to help develop a financial playbook for couples in retirement. Believe it or not it is just not about spending money. Some items or issues concern the emotional relationship you have with your spouse. How well do you communicate? Do you have the same objectives? How much time do you spend with each other? Are their couples you spend time with? Allow time to adjust to each other and to your retirement. Lets discuss some of these issues in more detail and how they relate to your financial playbook. One of the most significant issues is how well you communicate. If you cannot discuss your plans, your objectives etc., your marriage may be headed for trouble. When this occurs all kinds of things can happen. Including over spending, spending on items that are not supported by both spouses etc. Your financial affairs can quickly spiral out of control if one or both parties do not take control of the finances. Do you have the same objectives for your retirement years. How do these objectives translate into your spending plan. Trips, house renovations and upgrades, car replacements etc. should be discussed and planned. Even day to day expenses can get in the way of an enjoyable retirement if your budget is under pressure. Do you enjoy each others company? Retired couples see a lot more of each other and they may not be ready. There are extremes. Some love to spend time with each other and value the time they now get to spend together. Others want to mimic the nine to five schedule and really do not want to see each other during these time frames. Assess your needs to spend time together and discuss it with your partner. Traveling with other couples, going for dinner etc. can also be beneficial. Spending time with couples with similar objectives, financial wealth etc. can be very enjoyable. If you are trying to constantly keep up financially this can place a lot of stress on the relationship and also on your financial budget. We suggest that couples new to retirement allow for some time to adjust. Remember that you are figuring things out as a couple and also individually. It takes time to do this and meld the two with each other. Take it slow and do not spend money that may impact your long term financial health. It all comes down to planning your budget for the life style you want to have and the money you have available. Spend the time developing a budget which includes your objectives and plans. Discuss these plans and the financial impact with your spouse. 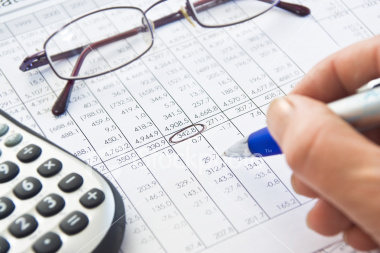 Be prepare to review your budget and make adjustments as needed. Many retirees assume that life will be grand after they retire. They will have lots of time and money available in retirement to do the things they have always put off while working. This can be true for many but it does not automatically happen that way for many people. There are five factors that many people should consider before they retire. What are the five things to do before you retire? Our list was developed after reading many articles and doing a great deal of research as part of our own retirement planning. The first step is to assess your savings now and what it will be when you actually retire. If for example, you have $400,000 saved and feel that this is a huge nest egg, is it enough? Using the standard 4% rule, your income would only be $16,000 a year. Can you live on that? What other sources of income will you have? Add these up and assess whether it is enough to live the live you would like during retirement. The next item on our list of things to do before you retire is to develop a budget. You have already determined what your income will be. Now how will your expenses change. If you have plans for your retirement, don’t forget to factor these in. Upgrades to the house, travel plans etc. should be considered in addition to all of the usual expenses. Don’t forget major maintenance projects for your home. Will you need a new roof in five years? How about the furnace or AC units? These major expenses along with any others should be factored in. As we age, health care and nursing home care can make a substantial impact on your budget. Do you have health care coverage? How will you pay for medications and other medical equipment you may need. Know and understand what the costs will be. The amount of social security you receive depends on two major factors. The first is how long you have worked before retiring and how much you made. The second factor is when you start collecting social security. The earlier you claim, the less you will receive. If you can wait longer to claim security, your income will be higher. Factor this plan into your budget plans. Many people mention they will have more time to golf, to pursue their favorite passions, travel and take on various maintenance projects. Will this be enough? Remember that your going to have between 8 to 10 more hours a day to fill taking into account commuting time. Take a moment to think about what you may do in retirement. It could even include going back to work, part time work, or even volunteering. 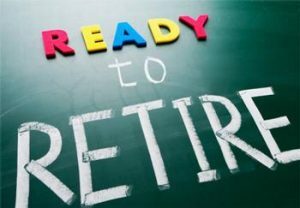 Good luck in your retirement and we hope these things to do before you retire will help you in your own retirement. An acquaintance sent me this note which first appeared on Carrick and Money in the Globe and Mail. As a retired person trying to figure out what my own retirement is going to look like, I found this quite an interesting, read about happy thoughts on retirement from an actual retiree! Here is what this retired consumer had to say. 1. You don’t need as much money as the financial industry says you do. Sure, more money is better than less, but we sacrificed a lot to max out our RRSPs every year and then also max out TFSAs when they came along. I see now that we needn’t have sacrificed so much while working. In fact, I find we have more money to spend in retirement than we had when we were working. Not having to furiously save for retirement frees up a lot of cash. 3. The stress reduction for me was huge. Years of working to meet ever higher demands with continually reduced resources and budgets was leading to more stress than I realized. Now, I call the shots and if I don’t want to do something, then I don’t do it. 4. It is psychologically hard to spend down what you’ve spent decades saving. When the time comes to retire, it is remarkably hard to change your mindset from saving for the future to spending for now. The reality is that we only have so many healthy, disability-free years left. If you didn’t save all that money so you could spend it [when healthy], why did you save it? Remember: “When you are retired, the future is now. 5. Understand that you’ll need some time to figure out what to do with the rest of your life. 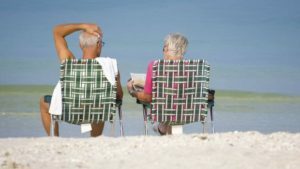 I read a tonne of retirement books on the financial side (overall they seem to say “never spend anything ever” though Fred Vettese’s The Essential Retirement Guide is a notable and recommended exception). 6. I was nervous before making the jump to retirement, but now that I’ve done it I wonder what I was worried about. My retired friends say the same thing. For more ideas about retirement and happy thoughts on retirement from an actual retiree, click here. You have saved for retirement for the past 30 years and now it is time to spend it. Most people are reluctant to spend retirement savings, even if they have a pension. Part of this phenomenon is habit and part of it is worry about the future. Most people worry about this issue and do not spend the money. They put off travel, trips to family and even avoid doing some of their favorite hobbies. You could end up with a nest egg to pass along to your family. But would you not rather enjoy yourself and spend some of the money? There is an approach to dealing with this issue which will help to meet your concerns and also allow you to enjoy life. The first step is to develop a budget that takes into account all of your current retired income and expenses. These are your day to day expenses that you need to live on. Next plan for larger expenses. For example repairs to the house, replace the car and emergency health issues. Once you have this plan, you will have some idea of how much money you will need to maintain your lifestyle. It will also tell you how much of your savings you will need to draw down each year. Now that these numbers are known, further plans can be developed. You will be able to determine if you need to keep working to fulfill your dreams for example. Trips can be planned. Projects you have put off can also be considered. While this planning activity may not be your favorite thing to do, it will answer a great number of questions. Most importantly knowing these answers will allow you to sleep better at night. A recent conversation about transition from a career to retirement with my doctor revealed that although he was thinking about retirement he really had no plan. He is 54 and is only plan is that he wants to work until he is 65. Obviously money is not the issue for him, but what he will do in retirement is an issue. He is only now beginning to think about it. Some would say that he has lots of time, over 11 years to get ready. And yes this is true. But depending on what he wants to do in retirement, he may need to start the planning now. He may need to begin the transition very soon. He mentioned that he would like to do more research and possibly lecture. Neither of these issues is being addressed at the present time. His health is good, although these days one never knows what is around the corner. My main message to him in our short conversation was that he needed to develop a transition from career to retirement that works for him and helps him achieve his goals. Everyone is different of course and has a variety of interests. Whatever you would like to do in retirement should be carefully thought about and then a plan developed to help you get there. In the doctors case he would like to do research and lecture. This is his goal for the time he retires. Note that this is in addition to travel, spend time with the family etc. Now that he knows what his goal is, the next step is to map out a step by step plan that takes him in the direction he wants to go. Perhaps he would benefit by attending school and training. Maybe etting involved with a research group, finding sponsors for the type of research that he wants to do. Once he has done some of this research there is no doubt he will be asked to guest lecture from time to time. There are a lot more details to be worked out but hopefully you get the message, start now and plan. Establish a goal for when you want to retire in terms of what you would like to do and then set up a plan to achieve this goal. If it is a worthy goal, you will have to be prepared to work hard to achieve it. Many people wonder what they will do in retirement and how to fill your days in retirement. This is a pretty common question for many people, while a few have no problems what so ever. For those of you who are looking for ideas, and have the time to prepare for retirement, the following list will help you. If you are already retired, some of the items on this list will still be interesting and helpful. The bottom line is that you have to work at it just like anything else in life unless you are luck enough to have already found your passion. Need a plan – a plan really helps. The plan should include where you are going to live, your finances, your interests both social and hobbies as well as even volunteering or part time work, travel and family. Make sure you ask for ideas from your spouse and include them in the planning process. Be prepared to make changes as circumstances change and also interest levels also change. Write it down! More important than finances – While your plan has to compliment your financial situation, it can also be more important than finances. If you are bored, have no interest in life or no purpose, it could be catastrophic for you in terms of long term health. Write your plan down on paper. Review with your spouse and family and be prepared to adjust it as life events take place. What are your interests – list your current interests and those you may be interested in the future. Some should be personal while others should include things you and your spouse can do together. Also review your interests and plans. A round the world cruise might not be within your financial means. While traveling by car on a road trip is. Build a budget which takes into account regular living expenses as well as your interest areas and make adjustments as need to match your income level. Develop multiple activities – being interested in a number of diverse interests will inspire you and also make life more interesting. Diverse interests expose you to new ideas as well as many different people who lead to an interesting life. Adjust for stages in life – retired and healthy vs. retired and dealing with medical issues leads to many different scenarios. Make adjustments to your plan that reflect your life and your capabilities. Continuously challenge yourself. Join for social activities and maintain friendships – One of the most important elements to living a longer life and enjoying yourself is to be active in social activities. Maintain friendships and meet new people. All of these ideas should be considered as part of your plan to plan for your enjoyable retirement. There are lots of situations where retirement could be bad for your health. As the picture on the left shows, this women is very unhappy with retirement and that could be bad for her health. It is hard to tell why she is so unhappy, however there are lots of reasons. Perhaps there is not enough money to do the things she always wanted to do. Perhaps she misses her friends at work. Perhaps she is so bored she is beside herself. There are lots of possible reasons, but the bottom line is that all of this negative environment will over the long term be bad for her health. She could become ill and not enjoy her health at all. She misses the social interaction with her colleagues and does not have anything to replace it. She is not willing to volunteer and meet new people. The list goes on. If she does not do something, depression could set in, she could gain weight and fall into a trap that only has a down hill path. This is definitely a situation where retirement could be bad for your health. What are the solutions to this problem and how can you avoid the potential health problems. The easiest answer may be to go back to work especially if you miss the social aspect. You could go to another job, volunteer where there is a strong social component. If it is a money issue, then the work will bring in extra income that you need. Take a look at what is making your unhappy. Identify the core things that are causing you distress. Look for solutions that could help you deal with these issues and improve your overall over situation. It is important that you discuss these concerns with a spouse or a close friend and ask them to encourage and support you in your struggles to improve your overall well being and health. Many people feel that retirement could be good for your health. After all you should get more sleep, you do not have the stress associated with work, you have less expenses and you now have the time to take care of your self. For example, eating 3 meals a day, time for exercise, more social time with friends and relaxation with all of your hobbies. Many people find the benefits in these areas actually improve their over all health. They take the time to look after themselves and this makes a huge difference. By far the biggest advantage is the opportunity to do some of the things that you have always wanted to do, but never had the time to do them. Helping out the family, looking after the grand kids, volunteering, even taking another job in an area that you have always been interested in. One friend of ours who was a sales person for most of his life, wanted to drive big vehicles. Trucks, buses or even construction equipment. He never had the chance until he retired. When he retired he took his bus drivers license exam and became a bus driver. He especially liked the articulating buses. It was his dream and he was happy to have his dream fulfilled. Bus driving might not be for everyone. Others take up golf. All of the fresh air, the new friendships and most of all the exercise. This is definitely a scenario where retirement could be good for your health. Figure out what works for you and do what makes you happy in retirement. Our next post will discuss how Retirement Could be Bad for your Health. Stay tuned. There are so many variables impacting your savings and trying to figure out how long your savings will last, that most people just give up and hope for the best. For example, inflation, returns on investments, company failures and success, interest rates, taxes, income, jobs, health issues and on and on. Many investment advisers use a 4% rule when it comes to withdrawing money from your savings. Four % provides a rather safe amount to withdraw and most will agree that there is an 85% chance that your savings will outlast you if you stick to 4%. However there may be other alternatives to making your savings outlast you. The first step is to figure what your retirement income is going to me without touching your savings. Take into account pension income, government income and any other income you may have. Decide when you plan to retire and assess how much of a shortfall there is going to be relative to your salary the last year of working. Many people feel that you can live comfortably on 70% to 80% of your income in retirement without any change to your lifestyle. Once you know the gap in income, calculate what 4% amounts to and re-assess the gap. You may have sufficient income at this point which is excellent. Next if you are short of income, you either have to go back to work, reduce expenses or take a larger amount from your savings every year. This is where it can get tricky. Most consumers have a variable income prior to retirement, so why not after as well? 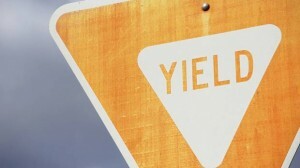 If your stocks and bonds deliver more than 4% in interest, dividends and growth, consider taking more out. If it is less than 4%, then you may have to cut back that particular year. The stock market has delivered 7% on average according to many experts, but some years it delivers far more than that while in other years, the market might be in negative territory. Recalculate you withdrawal every year and update your assumptions about income and expenses to figure out where you are relative to the income you need to enjoy your life in the manner you would like to. For more details about planning a retirement and saving money for retirement, click here. Forced to Retire at 45! According to several recent studies, the age of 45 is becoming the new age of retirement in the work force, at least from a career job in large companies. The facts point to anyone being laid off that is over 45, they are going to be without a job for a longer period than someone who is younger. In effect they are forced to retire! In fact it is unlikely that they will find a job in the same field at the same pay. The job they do find will be in a lower paying area with lower skill requirements. There may be no benefits or pension to go along with being laid off from the original job. At age 45 or older there is little time left to save for retirement. Or to save for the kids education, weddings or other major expenses that we all are faced with from time to time. This is the new reality and many people get a big surprise about being forced out, but also they suddenly realize that they do not have that many years to work before health issues fail them or other things get in the way of working. They begin to realize that they might not have enough money saved for retirement and have to scramble in order to salvage a quality of life that they expected to have. Forced to retire at age 45 is not fun at all. Anyone reading this post is probably saying that it will never happen to me. They feel their jobs are secure. That they are protected by the union. That their companies pay into a pension, so what is the problem? A few of us will not have a problem, but a large percentage of us will have this problem, so we ask the following question? Why not plan to retire at 45? Save for retirement as if you are going to retire at that age. Build up your nest egg and if you find yourself working until 55 or longer, then it is a huge bonus. You have a large nest egg available which gives you the flexibility to retire on your terms. Choose when to retire, when to change careers. You can decide when to change to part time work if that is what you are interested in. Don’t wait start now. If you are already saving for retirement take a moment to assess how much you will need. When will you achieve your objective. The peace of mind you get once you have plan is worth it’s weight in gold! For more posts about retirement issues and ideas, click here. Thirty percent of Americans 65 years and older are carrying a mortgage. 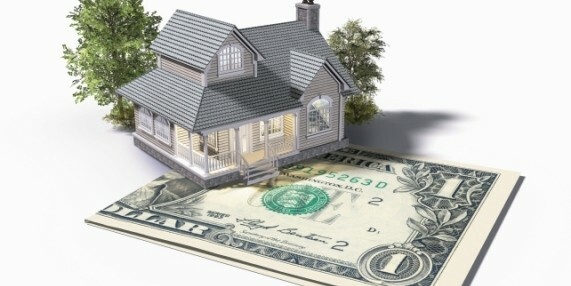 Those that are not carrying a mortgage into retirement, may also be carrying lines of credit. Perhaps also car loans or other debt. Either way these are monthly payments and debt that they could probably do without. These debt payments affect us in multiple ways. They make it much more difficult to enjoy life, perhaps even manage to meet all of your commitments. When they get in the way of putting food on the table or even heating your home, they can cause a very serious situation. Cash flow is all important in retirement. Most people are on a fixed income during retirement with pension income and income from savings. If you’re going to take on a mortgage during retirement or carry one into retirement you need to make sure that your cash flow will support this monthly cash expense. If you are on a fixed income with little likelihood of your income increasing chances are that you are actually falling behind. With inflation, every $100 buys less and less every year in terms of real purchasing power. Carrying a mortgage in retirement means less flexibility in spending due to cash flow impact. Mortgages carry fixed interest rate for the most part. 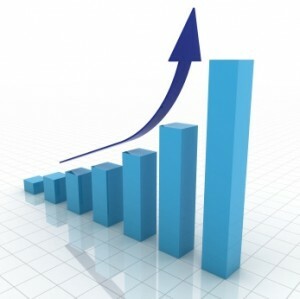 Lines of credit and other loans carry varying degrees of interest rates. If you can figure out a way to retire that mortgage or that loan, this step will provide you with a substantial automatic raise. These payments are no longer required and are available to use for other purposes. Other pressures such as putting students through university, unemployment, retiring early, health expenses etc also seem to be finding their way into retirement years. Many people decided to have families later in life. Which meant that their children were still in university when it was normally time to retire. If you feel that this is part of your future start setting money away now. Make sure that these costs are all covered by the time your children are ready to go to school at a well known university or college. Pay off high interest loans first, then focus on low interest mortgages. Can you count on a pension to stay afloat in retirement from the government or from your employer? The lucky ones will be able to say yes as long as the company they work for does not go bankrupt, rob funds from the pension fund etc. Even city and state governments are not immune to playing with pension money to deal with current fiscal issues. The question is can you depend on the money they promised you to be there when you retire and if it is will it be enough to allow you to live the life that you imagined while you are healthy and retired. One of the fundamental rules in investing is not to place all of your eggs in one basket. There is just too much risk and too many unknowns that may come along and wipe out the investment. Retirement planning should follow the same rules. If you have a pension and feel that there is a pretty good chance that it will be there when you retire, you are one of the lucky ones and we are very happy for those of you in this position. But would it not be to your advantage to also save something in addition to your retirement pension for emergencies and if your pension is not enough. Imagine how relived you will be if your pension comes through and you have your savings as well! This would actually be considered a really nice bonus to have both. If by chance you do not get your pension or receive less than expected, at least you also have your savings to fall back on. This is one of the best solutions and outcomes compared to not having any savings at all and losing your pension, which unfortunately many people are finding. You may need your savings in addition to your pension to stay afloat in retirement. We post articles on all sorts of topics on this web site associated with financial issues and investing. Take a few minutes to browse our topics and give some thought to how these ideas and concepts might be useful to you in your own life. For more posts about retirement and issues to consider when you retire, click here. Are you planning to leave an inheritance? Apparently 46% of boomers plan to leave an inheritance to their kids and other family members. This is a noble thing to do for many families. It is an excellent way to help your kids out. But the real questions is what do the parents need to sacrifice to enable them to leave the inheritance to them? What did they give up in their retirement years in terms of the things they like to or would like to do? What about health related issues. Did they receive the health care they needed during retirement or did they do with less in terms of health care to enable their retirement? This question is a very personal question. We know many people who say they plan to spend every cent they have and leave nothing for their families, the tax man or anyone else for that matter. Then there is the other extreme of consumer who will scrimp and save all of their lives so that they can leave a large inheritance to their children. Both parties are obviously happy with their decisions, however one wonders if something in the middle would not be better where they get to enjoy their savings and still leave something for the kids and other family members. The basic rule of thumb is to add up all of your debts, all of your assets and determine if there will be money left over for your heirs. If you expect to live longer, then you also must take into account your income and expenses over the rest of your life along with any special expenses you may have for trips, health related costs and so on. The net result will be a basic budget that will tell you among other things, whether you have enough to live on during your retirement as well as whether you will have enough to leave your family an inheritance. Emotionally this provides many people with a feel good feeling that they are leaving something to their families which they know will help them out in their lifetimes. Are your savings on track for retirement? Many consumers do not even give it a seconds thought until they suddenly find themselves being pushed out of their jobs early due to downsizing, layoffs or even company bankruptcy. Whatever the reason, consumers should really consider protecting themselves and complete an assessment of whether their savings are on track for their retirement. Start with the assessment of what you can expect from your company when you retire. If you are lucky enough to have a company pension plan, most will provide an estimate of what you can expect in terms of income at various stages of retirement. Next assess your savings now, how much you expect to add to your savings until retirement and how much you expect your savings to grow based on your investment strategy. Most people will assume that they can take 4% of the total savings at retirement each year. This will give them an 80% chance of their savings lasting throughout their retirement. Once you have your basic plan as mentioned above, you now can decide if you have sufficient funds in your savings and whether you are saving enough for retirement. Perhaps you will need to increase your savings to ensure that you have enough money at retirement to live in the manner that you would like. The next step is to complete a risk assessment. Ask yourself the following questions. Assess the probability of these situations developing in your specific case. Develop plans to help deal with the situation. For example, what would happen to your retirement plan if your company laid you off early,. Or perhaps downsized you or worse went bankrupt taking your retirement plan with it? Another question concerns your savings. Are you invested diversely. In other words do you have all of your investments in one company. Have you spread it around to manage your investment risk? Some consumers have placed all of their savings with one stock only to have the stock crash and they are left with nothing. Practice diverse investing to avoid this risk. Once you have completed your risk assessment, develop plans to deal with the risk. Evaluate your plan once a year at the minimum to take into account any changes in your life. Which ones should you consider to achieve your retirement dreams. For more suggestions about saving for retirement, click here. Our last post discussed how critical the first decade of retirement is. This post is focusing on the adjustment in first decade of retirement. We all have to think about as we make the transition from working / career to a life of retirement. For some it is not easy. While for others who were looking forward to retirement they make the transition with ease. What will your transition be like. What adjustments will you make in the first decade of retirement? The adjustments must occur on many different levels. There is the financial one of course. Learning to live on your pension and savings may be difficult for some who experience less money as a result of lower earnings. With more hours in the day to fill since you are not working, some will turn to volunteer work, others will get a job and many will focus on grand children and family. There is the emotional side of the adjustments saga. You may miss your colleagues at work, your family may have a tough time having you around so much and under foot. Even after you have been retired for a few years, adjustments may still be needed. Your finances have settled down, you have fallen into a routine and you’re enjoying life. Health issues may creep into the picture. you may decide to downsize your home and you will have expenses that were not planned for. The stock market is up and down and the worry is that you may lose money in a down market. Remember that you only lock in your losses when you sell. For many consumers who are invested in quality stocks and mutual funds, this will be just a phase and the markets will recover. Withdrawing money in a down market from your savings can change your financial plan significantly. Timing your withdrawals in times when the markets are at their highest point can make a huge difference in ow long your savings will last. Many consumers will work with a reputable financial adviser to help them through these adjustments to ensure that their savings outlast them and provide the type of lifestyle they are looking for. The first decade, in fact the first year of retirement is critical for many reasons on many different levels. First of all you are no longer working. Secondly your financial situation may not be what you expected, while at the very least you are trying to figure out what the final impact will be. Then there is the emotional part of suddenly being retired and wondering what you will do next. Perhaps you retired sooner than you planned, or not under the best of circumstances. Whatever your situation, dealing with all of these issues along with being with your spouse much more than you used to contributes to a critical first decade in retirement. In this post we are going to focus on your finances and how best to deal with that situation. Generally speaking if money issues are ok, then many of the other issues will also work themselves out. Develop a budget that illustrates all of your monthly / annual income along with all of your expenses. This will give you the first indication of whether you will have sufficient money to do the things you desire to do in retirement. Include budgeted amounts for trips, for projects or whatever you plan to do in your retirement. Chances are that in the first ten years you will still have your health and will be able enjoy many of the things that you love to do. While making your budget include sufficient funds to make sure you can take that trip or purchase the fancy car or whatever it is you are looking to do. Unless you are blessed with great genes, your 2nd ten years may not allow you to do as many things as you did in the first ten years. This is just reality that we all have to face. Investing properly, avoiding overspending and paying close attention to how you spend your money will help deliver the kind of retirement that you are planning. Build a budget that includes your income, daily expenses, annual expenses, long term items such as replacing a car or major maintenance items on the house and of course that trip you always planned. Some consumers may want to help the kids with their own homes or also the grand children. For lots more retirement ideas and information, click here. This is the question that many people ask themselves every day, how much do I need at retirement. How much do I need to save to ensure a proper quality of life for my retirement. Some people do not asked themselves this question until they are in their 40s or 50s. By that time it is much too late to save a large nest egg. Unless you have an excellent income with little expenses it is very difficult to save enough money once you have reached that age. Regardless of what age you are now, now is the time to start planning for retirement. If you begin when you’re young in your 20s save at least 10% of your salary. You should have more than $1 million for retirement. Add to that any pensions that you might have from government. Also your employer pensions and your quality-of-life should be what you are looking for. However there is one item that must be discussed and that is the amount of inflation. There are many calculators that can be used to calculate how much you need to save for retirement and what the impact will be of inflation on the amount of income that you receive as a result of that savings. For example we recently read an article of man who is 32 years of age and had already saved 125,000. He was assuming a 8% percent growth and calculated by the age of 67 that he would have $1.8 million. Get started now, with your savings plan for retirement and use one of the many calculators that are available to calculate what your annual income will be based on the amount of savings that you have when you retire.